Pictured: Namibian Minister of Environment and Tourism, Pohamba Shifeta and UNDP country resident representatives Izumi Morota-Alakija. DESPITE Namibia’s effort in maintaining a healthy balance between humans and wild animals, the country still faces massive challenges in combating human wildlife conflict which at times can lead to the unnecessary loss of human life. 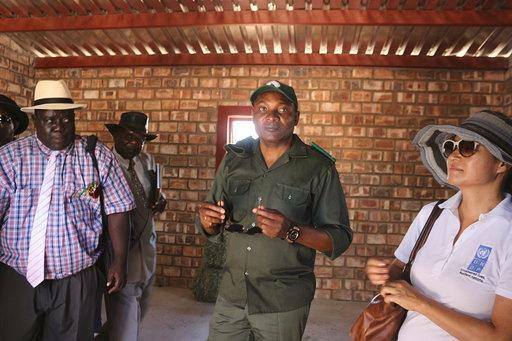 These were the sentiments of the Minister of Environment and Tourism, Pohamba Shifeta during the celebration of world wildlife day in Omatjete, Erongo region on Sunday. 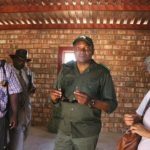 Shifeta said that living with wildlife can be costly with the ministry spending millions in the upgrade and rehabilitation of water infrastructure and specially constructed elephant dams to mitigate the impacts of human wildlife conflict in areas such as the Erongo Region. “Wildlife tend to expand into communal areas resulting in more conflict between people and wild animals which can lead to loss of livestock, crop losses, damage to water installations and even loss of human lives ” he said. UNDP country resident representatives Izumi Morota-Alakija concurred with Shifeta saying that human wildlife conflict remains one of the main persistent challenges.